A Dayton Regional Transit Authority bus stops along Pentagon Boulevard in Beavercreek, Ohio. Monday was the 29th observance of Martin Luther King Jr. Day, our nation's most recently established federal holiday and an occasion to commemorate the accomplishments and enduring legacy of the late civil rights leader. 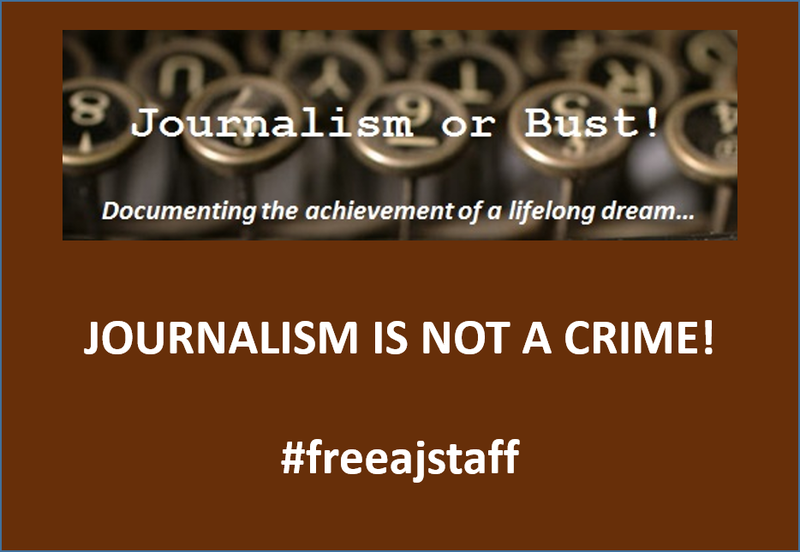 As the "newbie", it does not have the universal recognition of the "first tier" holidays like those near the end of the year (Thanksgiving, Christmas Day, and New Year's Day) or the summer observances (Memorial Day, 4th of July, and Labor Day). While supposedly equally important, the remainder of the ten official federal holidays (MLK Day, Washington's Birthday, Columbus Day and Veterans Day) linger in a "limbo" status in corporate and non-federal circles. Companies that I have worked for in the past covered them with a "floating holiday" policy that allowed employees to decide which of these to take off (or to substitute for another with more personal connections to them--i.e. 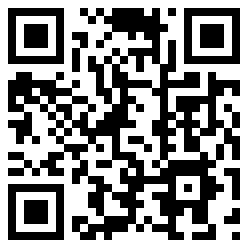 a cultural or religious day). That inconsistency was observed in my town with the military base and schools being closed but garbage/recycling collection continuing as normally scheduled. The more I exercise my fledgling journalism skills, the greater my appreciation grows for Dayton and the diverse population that calls this area home. Although I've lived and worked in demographically representative communities and organizations during my military career, those frequent moves limited exposure to relatively homogenous groups from a narrow age, education level, and ideological range of the human spectrum. As a white male, the only times I have come close to experiencing first hand what it feels like to be in a distinguishable minority was during various overseas tours, primarily in the Far East and away from the security of my base. Dayton is the first place I have lived in my adult life where I felt curious enough about my surroundings to break out of a lifelong "shell" when it comes to making a community commitment. Military members normally rotate every two to four years, with some "lifers" needing a third hand to keep track of all of their bases and postings in a 20-plus year career. By time you start to learn the ins and outs of a town, city or state, you are receiving orders to pull up stakes and move on to another location where this process, unfortunately, begins all over again. Hopefully, this commitment to this region is readily seen in the items that I have covered here on this blog for the past two and a half years (the "Occupy Wall Street" rally in September 2011, the "hoodie" rally in April 2012, the various political events during the most recent presidential campaign and the upcoming gubernatorial contest). 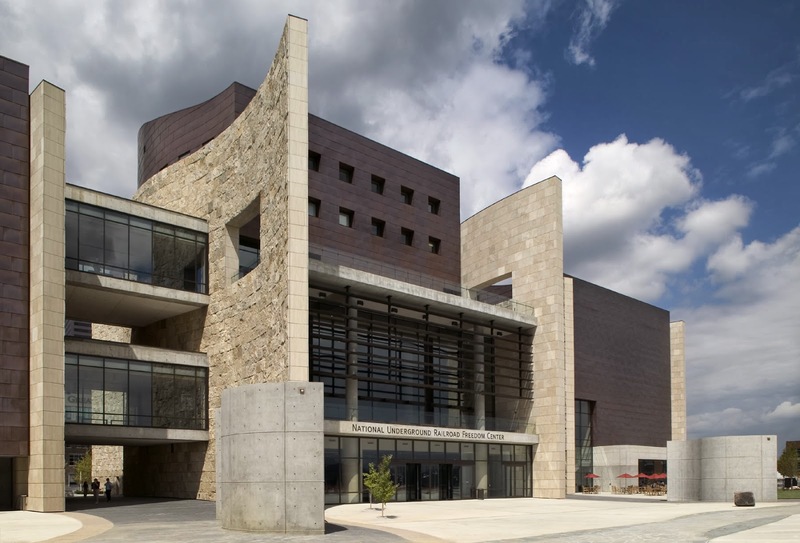 The National Underground Railroad Freedom Center opened in 2004 to highlight Cincinnati's role in the anti-slavery movement (photo by Farshid Assassi/ Assassi Productions and courtesy of the NURFC). It was through in-depth online research that I discovered that the Dayton/southwestern Ohio area holds a prominent place within our nation's African-American community. Due to its proximity to the former slave state of Kentucky, the abolitionist movement had a strong following among the citizenry and several escape routes traversed the state to assist runaway slaves make their way to freedom in the Northern states and Canada (the National Underground Railroad Freedom Center sits on the northern bank of Ohio River in downtown Cincinnati). In the years following his successful boycott campaign against racial discrimination by the Montgomery Bus Lines, Dr. King made several appearances in the Dayton area (he was a guest speaker at Central State University's 1958 commencement exercises and gave a November 1964 speech at the University of Dayton). His future wife, the former Coretta Scott, attended Antioch College in the neighboring community of Yellow Springs in 1951. The National Afro-American Museum and Cultural Center was opened in 1988 at Wilberforce University, the oldest African-American university in the United States, and is located just outside Xenia. In the years following the 1896 Plessy v. Ferguson Supreme Court decision that reinforced the post-Civil War practice of institutional segregation, a "separate but equal" doctrine was considered the social norm until racial tensions exploded locally and across the country in the 1960s. Several near- and actual riots broke out in the Dayton area over lingering racially biased residency policies and the gruesome murder of African-American resident Lester Mitchell by white assailants in a drive-by shooting in 1966. The demographic composition of the city began to change and the percentage of whites dropped from 78.1 percent in the 1960s to just above 51 percent in the latest census tally. Interstate 675, completed in 1987, serves as a bypass route for travelers around Dayton as well as an anchoring lifeline for several suburban communities and businesses that have gained in population and economic growth due to that "white flight". One of those cities, Beavercreek, has gained the most in terms of population and economic clout. Incorporated in 1980 from portions of Beavercreek Township, it is now the largest community in Greene County and ranks second in population size behind Kettering of all the Dayton suburbs. A comparison of historical non-seasonal adjusted unemployment rates of Dayton and Beavercreek (graph courtesy of Google). A nearly 50 percent increase in just over 30 years can be attributed to a number of factors. Beavercreek is one of the few Ohio municipalities that do not have a city income tax or sales tax so it does attract residents who value such an economic advantage over other surrounding communities. Due to that fiscal incentive, many business have chosen to move to the city to offer their employees that benefit, many of them involved with supporting activities at the neighboring Wright-Patterson Air Force Base. Its median family income of almost $89,000 is over $50,000 higher than Dayton and its unemployment rate is three points lower (according to August 2013 US Bureau of Labor figures). Perhaps the most striking statistic when comparing the two cities concerns their demographic makeups. While African-Americans make up nearly 43 percent of Dayton's population, only 2.2 percent of that same group call Beavereek their home and it is that glaring disparity, along with a recent issue concerning bus stops in that city, that has attracted my attention. 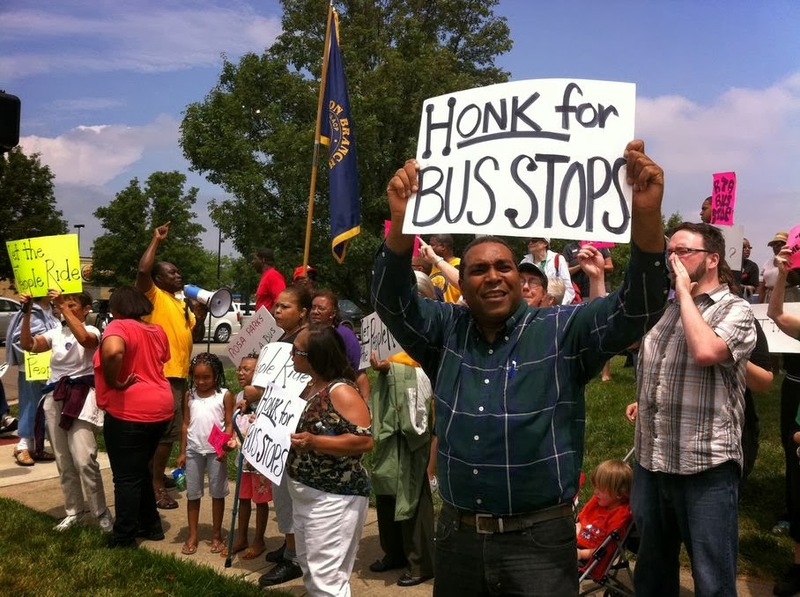 Protestors show support for RTA bus stops in Beavercreek during a June 2013 rally (photo courtesy of WHIO). In 2011, this city became embroiled in a controversial decision that attracted statewide and national attention. 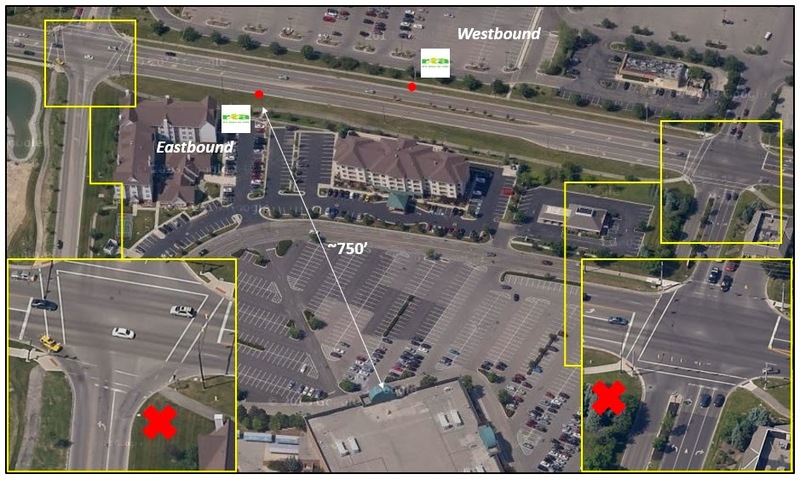 In March of that year, members of the Beavercreek City Council unanimously rejected an application by the Greater Dayton Regional Transportation Authority (RTA) to have three bus stops established along the city's Pentagon Boulevard, a road on the city's periphery with close proximity to one of their two malls and to other major retail establishments, to include Walmart and its companion Sam's Club. The council cited security concerns in their rejection and requested modifications to the proposed venues to sway their future votes, to include surveillance cameras and climate controlled shelters. The bus line claimed the rejections were preventing equal access to those locations--and the city--and that the changes they asked for were well outside the ordinary (only the country of Dubai has air-conditioned bus shelters). A local advocacy group, Leaders for Equality and Action in Dayton (LEAD), upped the ante and took the matter to the US Department of Transportation's Federal Highway Administration to investigate whether the council might be violating the civil rights of regional African-Americans by denying them access to those business locations for shopping and employment opportunities. A settlement was reached last February and the city council approved the stops on a 5-2 vote in October so as not to lose over $10 million in federal highway funding. The first buses completed that route on January 12 with a small contingent from LEAD riding on that first bus to commemorate their victory. The view across Pentagon Boulevard at two of Beavercreek's new RTA bus stops. I wanted to see what all the controversy was about so I went over to the area where two of the three stops are located (the third is further down Pentagon Boulevard and provides access to a hospital and other businesses and office buildings). From what I could tell, the only visible changes to the road are two cut-ins to the existing curbline to allow the buses to discharge and pick up riders without blocking traffic on the double-laned street. A newly poured walkway connects the stop to the existing sidewalk/running track and to a stairway was recently erected to provide access to the elevated parking area of a hotel adjacent to the Mall at Fairfield Commons' main parking lots. Orange plastic fencing and a construction barrels indicate that these areas are not completed (the RTA is currently soliciting bids for the shelters). RTA riders face serious physical and logistical challenges for accessing the Mall at Fairfield Commons. While perhaps complying with the exact letter of the law, it appears that the city did not want to go the extra mile to make these riders feel welcome. Various reasons were given for not allowing the buses to deviate from their route (traffic concerns around mall entrances, large congregations of riders, wear and tear on the road surfaces) so RTA passengers must undertake a potentially strenuous journey to make their way to and from the stops. 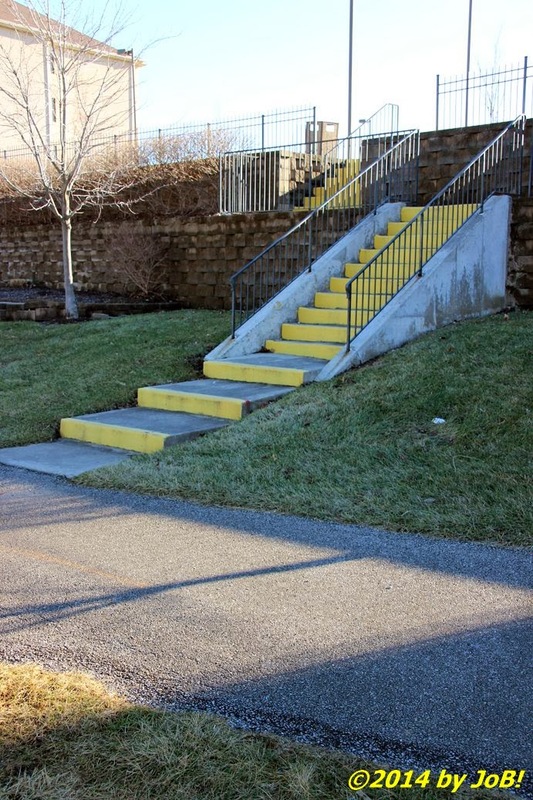 For patrons of the Mall at Fairfield Commons, the most direct route from the eastbound lot is approximately 750 feet away to the closest mall entrance (the north-facing Elder-Beerman department store) and that jaunt requires ascending a steep set of stairs. Once climbed, they must next navigate through a hotel parking lot, cross a four-lane roadway, and then further navigate the mall's main parking area to get to that entryway. If the rider is elderly or infirmed, they might not possess the ability--or the stamina--to walk that distance and for those folks who require mechanical mobility assistance, they must actually ride their device in the roadway to gain access to the mall. While a sidewalk/running path is provided along the south side of Pentagon Boulevard between Commons Boulevard and the mall entrance, there are no ramps or protected walkways to accommodate access by handicapped individuals (the red Xs in the graphic show where the existing path ends). Things aren't easier for people who want to shop at business on the north side of the street. The distance from the eastbound stop to Sam's Club is about 330 feet--a little over one football field--while Walmart is approximately 700 feet to its nearest entrance (and both have road and parking lot traffic issues to contend with). Those long distances are a definite disincentive for anyone who would want to do a lot of shopping at any of those retail establishments. 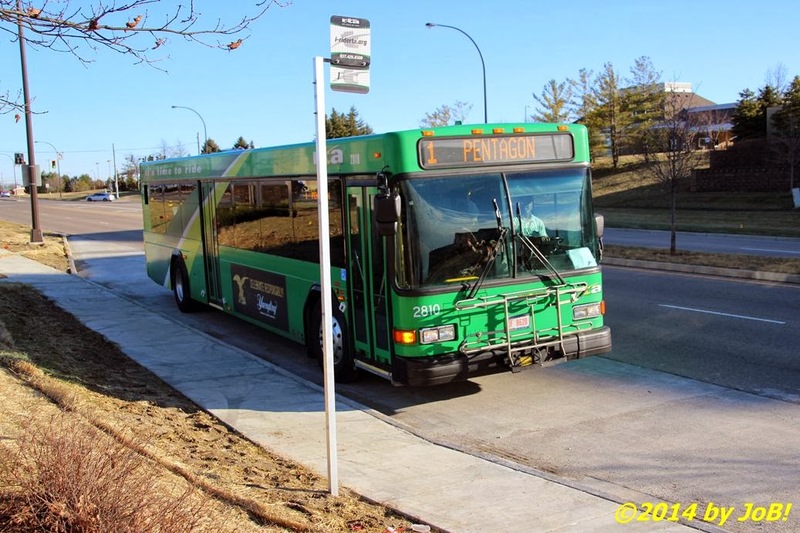 Conversely, the Greene CATS public transit system, Greene County's version of the RTA, has no such proximity issues and their buses are allowed to directly drop off passengers at the doorways that Montgomery County bus riders must hike up to an eight of a mile in order to enter. Newly constructed stairs along Pentagon Boulevard provide RTA riders access to the Mall at Fairfield Commons. 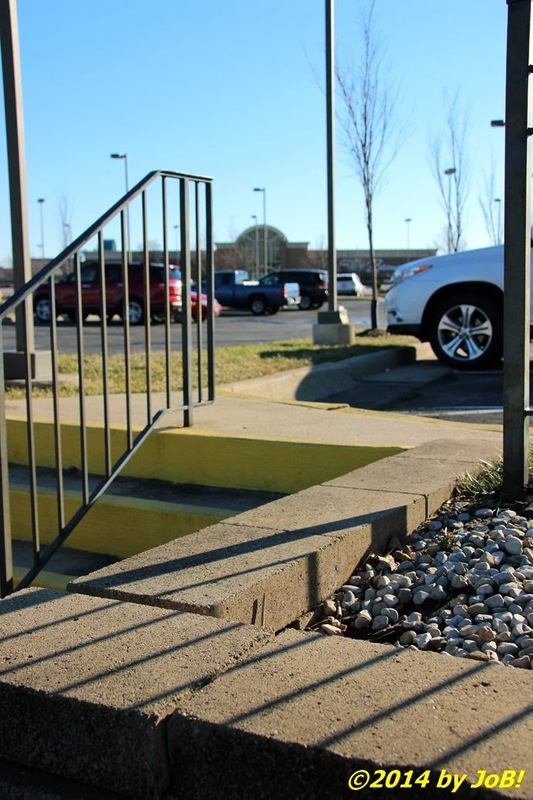 Once the stairs are climbed, riders must continue through parking lots and across a four-laned road to get to the entrance of the Mall at Fairfield Commons. 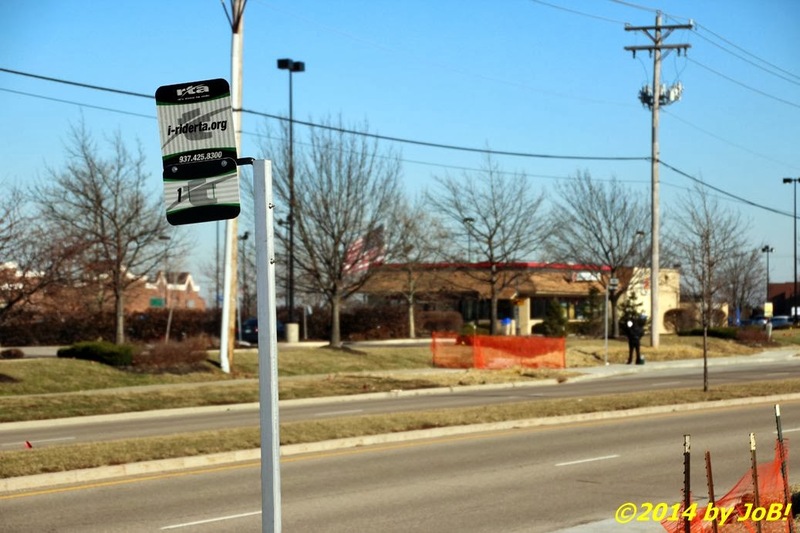 A rider waits for an RTA bus at the westbound bus stop along Pentagon Boulevard in Beavercreek. Walmart and other businesses can be seen in the distant background. While waiting for a bus to photograph, I had the chance to talk to some of the people who now have access to the Beavercreek area due to this route extension. One young African-American man said he was there to look for work over at the mall. He told me that he's been unemployed for almost three years and has not been able to find a job in the security/law enforcement field in or around his west Dayton residence. An Hispanic woman, wearing a very thin coat and flip-flops in 20-degree temperatures had a similar story and hoped that this new service would now remove dependable transportation from her list of reasons why she had not seriously considered this location for employment in the past. 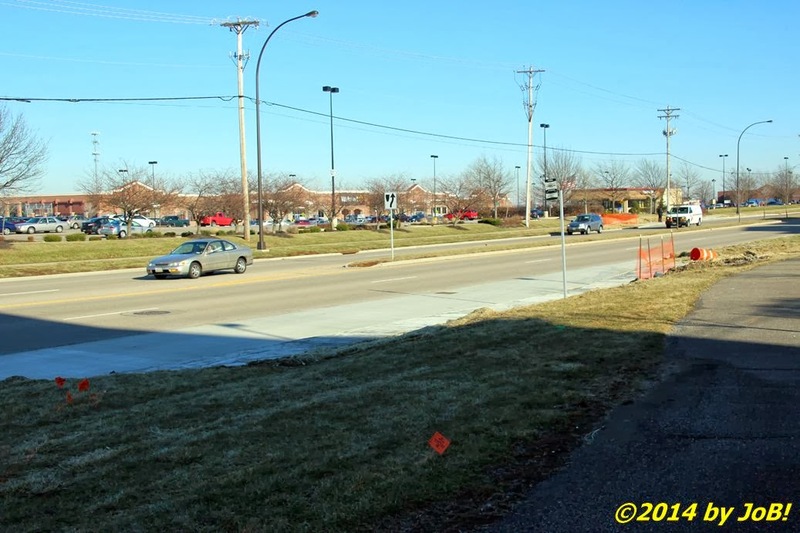 Both said that the closest the RTA could get them to these businesses before the 12th was near Wright State University, about a mile and a half way across a busy six-lane that does not have pedestrian lanes (this new route is an extension of the one that goes to that school). With 29 weekday, 20 Saturday and 16 Sunday stops, those potential employees can now accommodate a variety of work schedules. Living under these conditions, many Negroes lost faith in themselves. Many came to feel that perhaps they were inferior, perhaps they were less than human. This is the ultimate tragedy of slavery. This is the ultimate tragedy of segregation. It not only harms one physically, but it scars the soul and distorts the personality. It gives the segregator a false sense of superiority, and it gives the segregated a false sense of inferiority. Equality, just like liberty and freedom, are ideals we must strive to achieve on a regular basis and not be relegated to bumper stickers or mixed with mindless invectives hurled at fellow citizens who might not see things the same way as you. While racial segregation was once condoned in its laws, its incongruity to our nation's guiding principles led to its eventual demise with the help of Dr. King and others in the Civil Rights movement. Unfortunately, similar demographic parallels can seen when the subject of income inequality is closely examined but they are much harder to prove (or to litigate in our current legal system) but what I am seeing in this city comes awfully close. 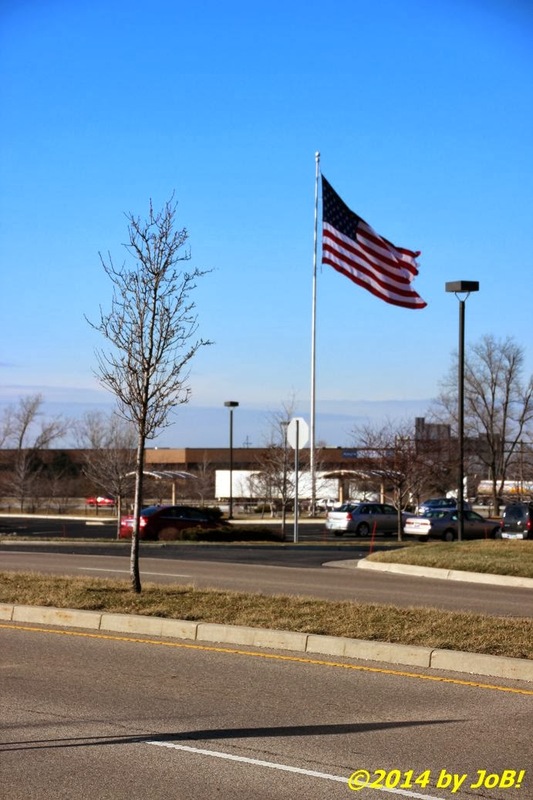 At many locations along that bus route, the city and its business tenants display very visible signs of patriotic fervor (one flag in front of the Fairfield Crossings retail hub is so large that it nearly drags the ground when the wind is still and can be easily seen from the nearby interstate). Now knowing that it took a near act of blackmail by the federal government to get Beavercreek to actually do the right--and American thing, perhaps those items should be permanently placed at half-staff to mourn this lingering avoidance with what the Founding Fathers envisioned for this nation's citizens. Just one of the giant flags on display along the RTA's Pentagon Boulevard route through Beavercreek.